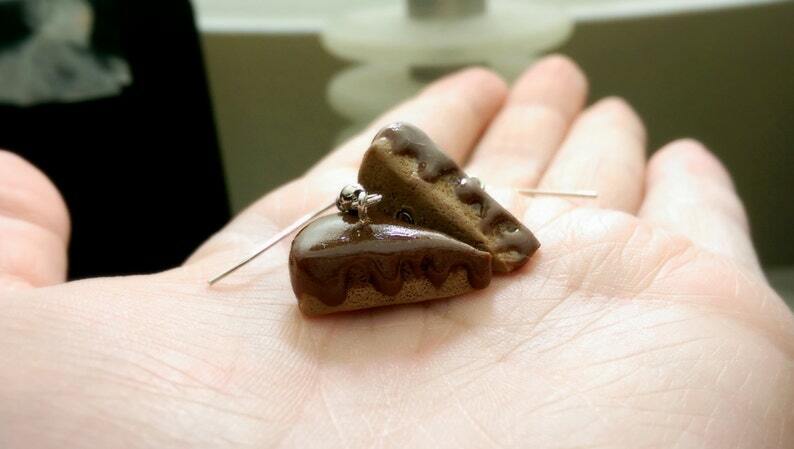 These cute earrings are made to look like delicious slices of double chocolate pie. Chocolate pie filling and creamy chocolate icing! Yum! * This item is for personal use only and may not be purchased for resell purposes.